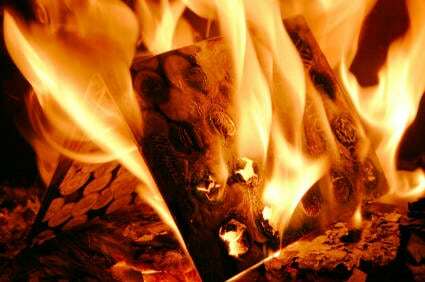 So… Should Christians burn the Quran? Point 1: There is nothing immoral about burning the Quran. Point 2: There is nothing illegal about burning the Quran. Is it offensive to burn the Quran? Should all of the various Christian, Muslim, and political leaders be speaking out against this burning? I don’t care if television is offensive to Christians. I don’t really care if it is offensive to anybody. I do care if the material is inappropriate for a general public audience or for the age group that may be watching. I may choose not to watch it if it is hostile to God or to Christians. But whether or not it is “offensive” to burn the Quran isn’t really that important. I am not concerned if people burn the Bible either. As long as they paid for them, they can do with them whatever they want. So should we be held hostage by the supposed millions who may act childishly and riot, etc. if this pastor burns Qurans? A lot is being said to condemn this pastor, but where are the voices condemning such absurd behavior as the predicted response? I for one don’t intend to condemn this pastor because others will act wrongly as a result of his actions. He is not doing anything immoral, he is not doing anything illegal, and it doesn’t really matter if it is offensive. 1) What good will come of this Quran burning? Will anything useful be achieved? 2) Is this pastor choosing the right battle to fight here, by burning these Qurans? I don’t believe in Islam. I don’t believe all religions are equal. I don’t believe all religions are true. I’m not afraid to say that I hope all Muslims leave that system and find saving faith in Jesus Christ instead. But I don’t need to rub that in the face of Muslims. Many Muslims believe that I have chosen a false religion by believing that Jesus is God and that Mohamed is not a prophet of the One True God. I am not threatened or offended by their opinion. I could still be neighbors with a Muslim. I could even be friends. I could talk to a Muslim respectfully about the differences between our religions. I wouldn’t talk about that all the time though. Perhaps some good food and talking about family, weather, fun, hope, etc. would be an important part of our conversation! I wish to reach out to Muslims, not unnecessarily alienate them. I am not willing to claim that “all religions are good” in order to meet this goal, but I am willing to avoid stupid provocation or useless conflict. It’s only an issue because of all the hype. There might not be anything immoral or illegal about burning the Quran but it is a lack of respect and consideration for people we as Christians would like to see saved by the grace of God. If we profess that we serve a God who is merciful, loving and forgiving, then there is no reason why we should act in a way that will rebuke instead of drawing other to our faith. Granted that the media did not help the cause by not putting more emphasis on the potential response on the radical islamists part, I think Rev. Jones did not help the cause of Christianity by chosing to burn the Quran in order to make a point. His response to the muslim world will only serve to bounce back in our face eventually. …I am not willing to claim that “all religions are good” in order to meet this goal, but I am willing to avoid stupid provocation or useless conflict.” How would that be provoking or confrontational when we do have a responsibility to not be ashamed of the One we profess to serve. Burning their Quran would be such but if asked an opinion, why not tell the truth. …“whatever, can we talk about something that matters?” say what??? But this does matter. If we want them to know us by our love and not fall into the trap of getting down to a lower level, we’d best act like someone who’s heart is in the right place – near to the Hear of God. Rev. Jones opened a can of worms and he’d better keep those for fishing lost souls instead of trying to set a precedent just to give a group of people a “good lesson”. He certainly won’t increase his church attendance that way!